Show how maths works in the real world with a hands-on approach that brings numeracy to life. 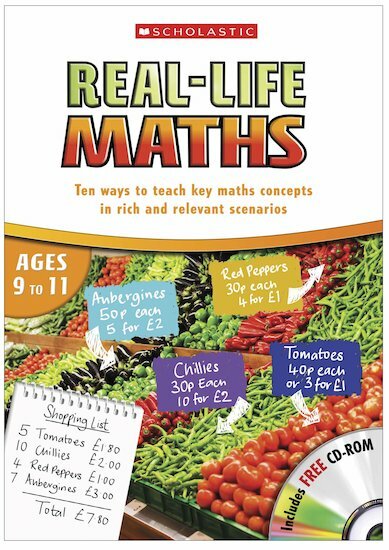 This Real-Life Maths book lets children use maths actively in ten practical group role-play scenarios. Each scenario has been tried and tested in real classrooms and takes 2-4 sessions to complete. This teaching book includes a CD-ROM with a video introduction to each scenario, a slideshow, printable worksheets, photos, pictures and animations.